The ABP (China) Holding Group is dedicated to the investment, development and construction of ABP mode-based economic zones and comprehensive international investment group. Since 2003, the Group has been investing in the construction and development of ABP economic zones in China. Its main projects include ABP Beijing, ABP Finance Harbor, Beijing Maya Island Hotel, ABP Northeast China, and ABP Qingdao among others. ABP Beijing is located in Southwest Fourth Ring Road. Since its foundation on June 19, 2003, about 400 distinctive headquarters buildings have been established, and their intelligent, low-density and ecological characteristics have attracted a large number of enterprises. So far, more than 400 large and medium-sized enterprises at home and abroad have entered into the ABP core area, and high-tech enterprises (mostly industry leaders) have accounted for 85% of these enterprises. In addition, Fengtai Science Park with ABP as the core has attracted nearly 4000 enterprises of all sizes among which there are about 110 enterprises with annual revenues of over RMB100 million, 17 listed companies and over 50 first and second class enterprises approved by the central SASAC. It is expected that by 2011, Fengtai Science Park will attract 100,000 high-end talents, 500-1000 ABP enterprises to reach up to 5000 enterprises of all sizes, and will achieve total revenues from technology, industry and trade of up to RMB230 billion, total taxes of RMB6.7 billion and an increase of over 30% in fiscal revenue of this district with about 1% of land area for Fengtai District. In October 2009, the Maya Island Hotel built by ABP (China) Holding Group was put into trial operation. It is the first museum-style five-star business hotel in China with total investment of RMB0.4 billion. This hotel has 199 elegant and comfortable guest rooms and suites, including presidential suites, deluxe standard rooms and suites, Maya air villas, executive deluxe rooms and suites among others. In addition to the conference room, assembly hall, creative Chinese cuisine and other complete ancillary facilities, this hotel also has over 500 pieces of sculptures, paintings, artifacts and architectural component replicas during the middle and late periods of Maya civilization. In view of this, the industry believes that it presents ''a perfect combination between Maya culture traditional Chinese culture & modern hotel culture, and a collision between traditional treasures and modern art''. The Finance Harbor is a professional financial service area that ABP (China) Holding Group has invested RMB6.6 billion to build, including headquarters buildings, financial plaza and ABP apartments among others. The Finance Harbor provides the financial industry with cost-effective, convenient, ecological, low-density and intelligent working environment and financial headquarters accumulation area. 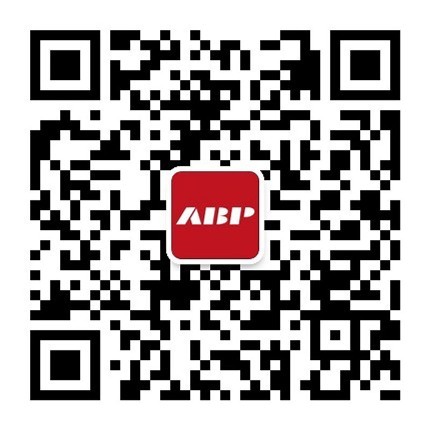 ABP Northeast China is the first systematic, ecological, intelligent, large-scale and low-carbon enterprise headquarters accumulation area built by the ABP (China) Holding Group upon thorough analysis and summary of the successful practice of the ABP Beijing. It is a new starting point for the ABP mode to spread to the whole nation and the world. As the largest wholly foreign funded project in Northeast China, the west and middle sections of ABP Northeast China covers an area of about 4.7 square kilometers with a building area of about 5 million square meters. The average plot ratio is approximately 1.1, with the green area ratio of about 50%. The section is composed of 2000 intelligent, low-carbon and energy-efficient independent headquarter buildings with variant sizes ranging from 800 square meters to 6000 square meters. ABP Qingdao covers an area of about 1.6 square kilometers with a building area of 2.6 million square meters. It will set up the largest independent headquarter buildings covering the East China District which are expected to accommodate nearly 2000 enterprise headquarters. It is reported that the investment amount will reach up to RMB11 billion. ABP Qingdao will take the China headquarters economy theory as guidance, the successful practice of the ABP as a foundation, and technical innovation and development of regional economy as main tasks. It will not only play an important role in the adjustment of industrial structure and transformation of economic growth mode, but also make great contributions to the rapid development of the headquarters economy in Qingdao.